Hearthstone is about to get a feature that fans have been begging for since its earliest days—a mode that lets you run your own organized tournaments from within the client. Every year, Hearthstone gets a “soft reset” of sorts: a new competitive season begins, and old cards rotate out of Standard play to make space for new card designs. Last year was the Year of the Mammoth, and Blizzard just announced that this year will be dubbed the Year of the Raven. On top of some long-overdue nerfs, the announcement brings a new Druid hero character, a more rewarding quest system for earning in-game currency, and, perhaps most importantly, tournaments. If you’ve seen any number of high-profile Hearthstone tournaments go south after a technical flub, you’d know why a tournament mode is in such high demand. Since all tournaments have essentially been forced to use the rudimentary in-game player challenge system, there’s tons of room for technical issues, and they’ve come up multiple times. A few years ago, the renowned player RDU received unprompted in-game messages from someone on his friend list in the middle of a tournament match, prompting suspicions that maybe his friend was giving coded tells about the opponent’s hand. In a more recent tournament, the player Luker lost a match he would have won due to an unfortunate disconnect that shouldn’t have happened in a tournament setting. With this new tournament mode, Blizzard says players can run a Hearthstone tournament in a home or more established event setting within the client. This, in theory, means tournaments finally might get a little help from the client itself. For now, the mode is only set to handle matchmaking and can check decks for consistency, with the rest of the features set to roll out over the course of the year. 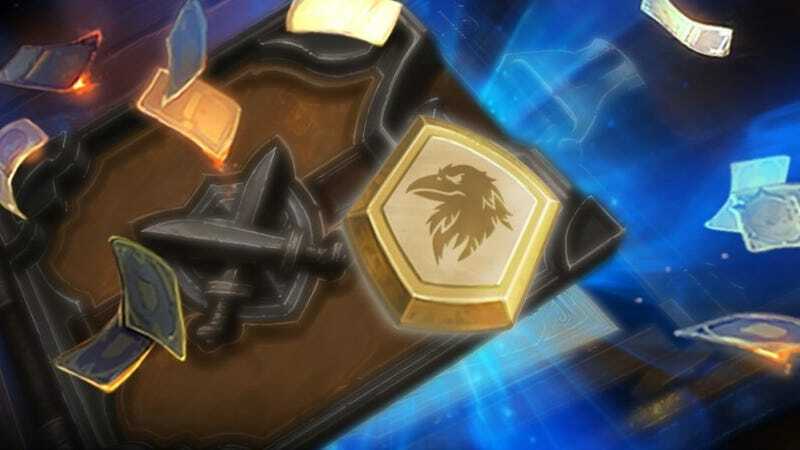 The other big news that comes with the Year of the Raven announcement is that starting with the next expansion, a wide range of cards will no longer be available to use in Hearthstone’s Standard mode of play. Not only will cards from the Whispers of the Old Gods, One Night in Karazhan, and Mean Streets of Gadgetzan rotate out, but so will a few powerful cards from the original set. Chief among those is Ice Block, the all-important Mage card that allowed Mages to survive lethal damage for a turn and use the extra time to kill the opponent with powerful spells. It wasn’t egregiously overpowered, but according to Blizzard, its removal will “make more room for new Mage decks in Standard.” In addition, Coldlight Oracle and Molten Giant will also be rotating out of Standard play. The announcement also brings a few quality-of-life changes. For one, quests will be more rewarding. 40-gold quests will all get bumped to 50, and requirements to fulfill quests with higher rewards has been reduced by a bit. It won’t make the grind too much easier for the average player, but it’ll give players more in-game currency at a faster clip. Most of these changes, along a new Druid hero character called Lunara, will go live when the next expansion drops.